Music is very much at the heart of this Jimmy Buffett-inspired lifestyle. 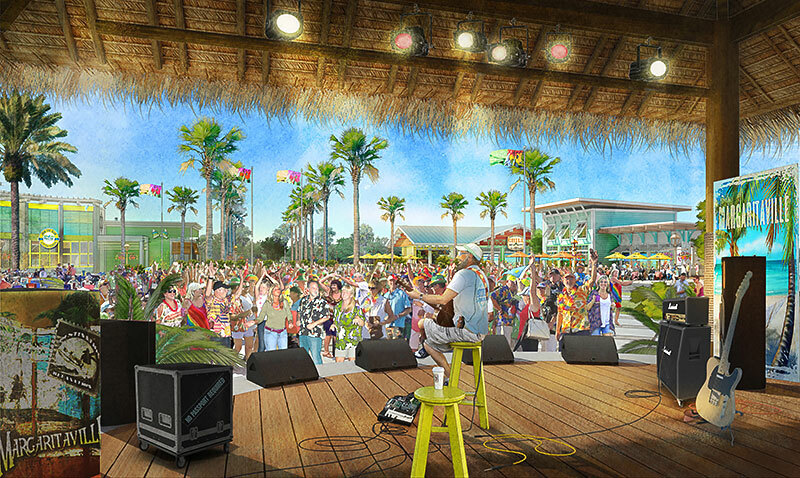 In fact, there's a planned bandshell for live entertainment right in the middle of the lively Latitude Town Square! Our planned vibrant Town Center features an exciting restaurant, entertainment venues and more. 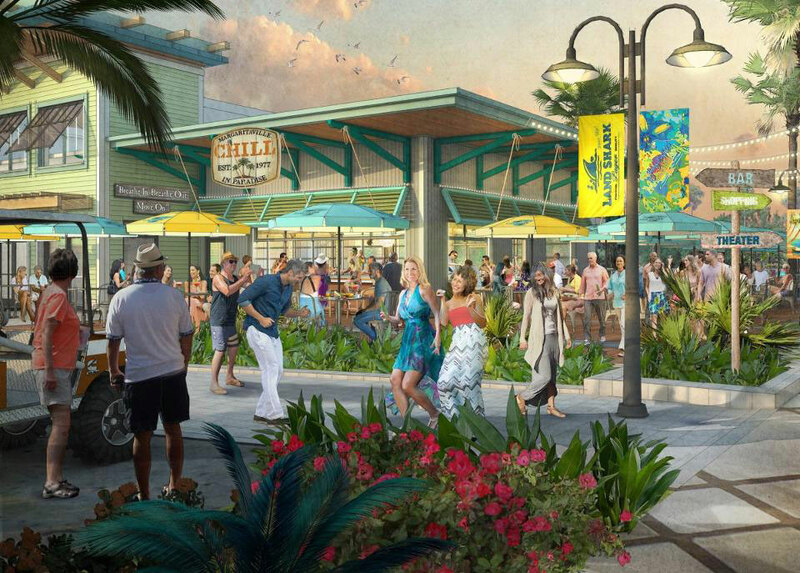 Served up with Margaritaville's authentic, no-worries vibe, the FINtastic dining, recreation and live entertainment make this lively downtown the place to be and a golf cart ride away from your new home in paradise! Cheeseburger in paradise? Boat Drink? 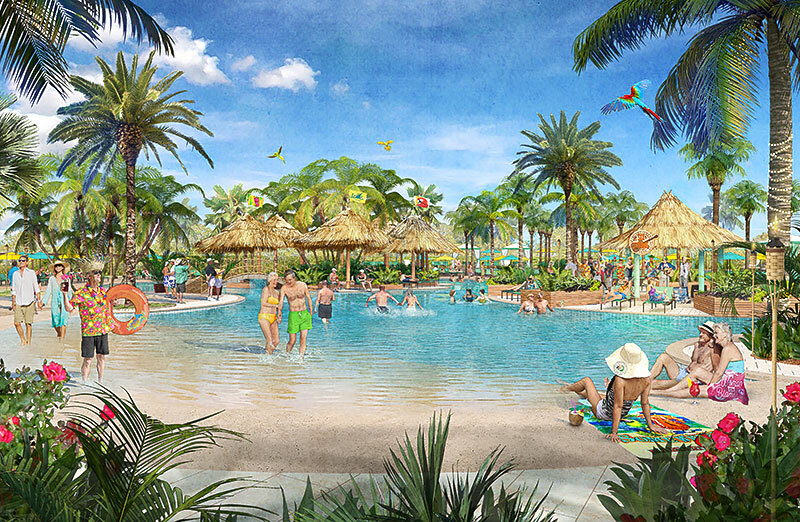 If you have an appetite for great times with good friends, you're going to love living at Latitude Margaritaville! Welcome to your own planned private beach club, where you can kick off your flip-flops, frolic in the surf and chill in the shade of a cool cabana. Providing front row seats to the sparkling Atlantic Ocean, take our free shuttle bus to this fantastic oceanfront hangout. So, when you're ready to hit the beach, all you have to do is hop on board! 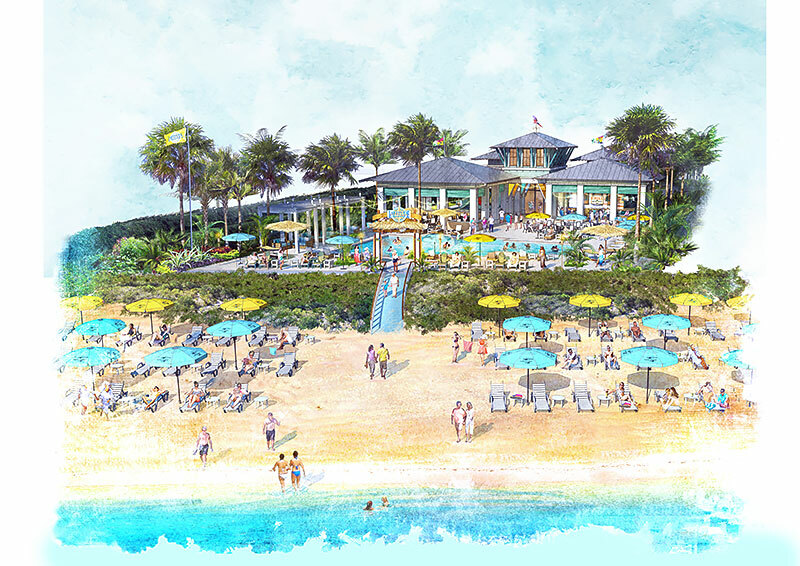 Discover opportunities for daily fun, fitness and recreation include a planned amenity center with resort-style, social gathering areas, tiki huts and poolside bar and grill. The planned indoor and outdoor athletic facilities include tennis and pickleball courts where you can engage in friendly competition. In addition, our official healthcare partner with Halifax Health will offer access to a full range of wellness services and community programs.